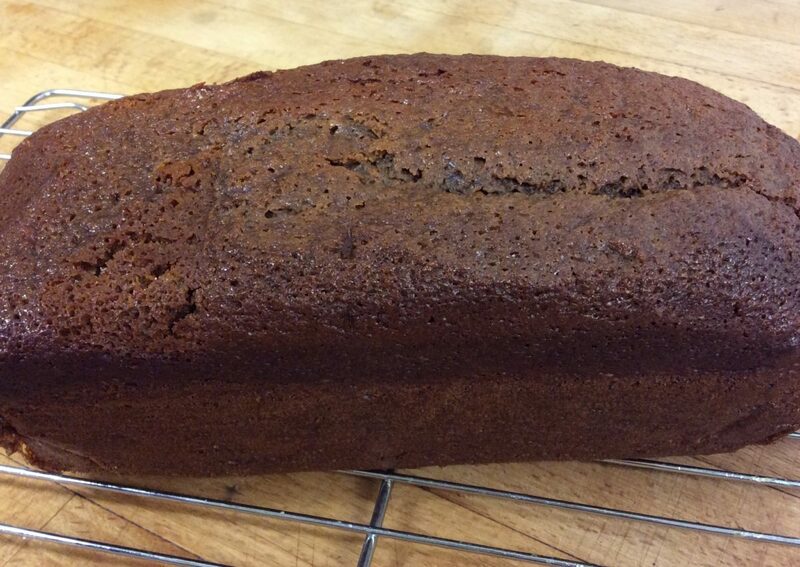 As promised, here is my recipe for the vegan ginger cake. This recipe makes 2, 900g loaves. Happy baking! 4 tbsp water, 4 tsp baking powder, 2 tsp vegetable oil mixed together as the egg substitute. 2 x 900g loaf tins greased with butter and lined with greaseproof paper. Heat the oven at 170 degrees Celsius. Sift the flour, bicarbonate of soda, ginger, cinnamon and mixed spice together in a bowl. Add the Trex or dairy free butter and rub into the flour mix. Place the treacle and golden syrup into a small pan and warm gently until melted and runny but not hot. Set aside until lukewarm. Put the sugar and oat milk into another pan and heat gently, stirring well to dissolve the sugar. Leave to cool until lukewarm. Whisk the oat milk into the flour mixture, quickly followed by the treacle mixture and the egg substitute, to make a smooth thick batter, the consistency of double cream. Put the mixture into the prepared tins. Bake the gingerbread in the heated oven for about 45 minutes or until a skewer inserted into the centre of the loaf comes out clean. Set the tin on a wire rack and leave the gingerbread to cool completely before turning out.